Can cats learn tricks?? While most people would automatically answer that question with a laugh and a dissenting shrug, the truth is that cats can indeed learn tricks and are very trainable, some even go on to compete in tournaments! Of course cats learning tricks is not as famous as dogs being able to learn tricks, so people often overlook the fact that cats can be trained and just leave cats to enjoy their independent, disobedient nature. You’re going to need your own set of tricks in order to succeed at getting your fluffy kitty to learn some neat tricks! Before your kitty can become a full on Jedi Master, you’ll have to start teaching him/her tricks Padawan style – aka start from the beginning! I don’t know if you can consider getting your cat to walk on a leash/harness as a trick, but we succeeded in Yoda getting used to walking on a leash like a small dog because we started training him from a very young age! Kittens learn quickly and are full of life. If they spend their lifetime chasing leaves and stuffed mice, then don’t be surprised when they turn out to be a plump lap cat in their retirement years. Not like that’s a bad thing, we adore cuddly cats. Yes, I know… The saying is “trick OR treat” but when teaching cats to do tricks it really is more like “treat or no trick!” Cats (and dogs) need positive reinforcement in order to learn tricks. This will occur over a period of time, but don’t go too hard on the treats! Use the treats wisely but often. A good rule of thumb is to praise your kitty with each positive or good behavior by giving him a little bit of a treat. You can break a single treat in half so your cat doesn’t actually take time to eat it but gets just a delicious taste that will make them crave for more! Soon they will understand that their good behavior merits a tasty treat and before you know it, you’ll have a cat doing tricks! 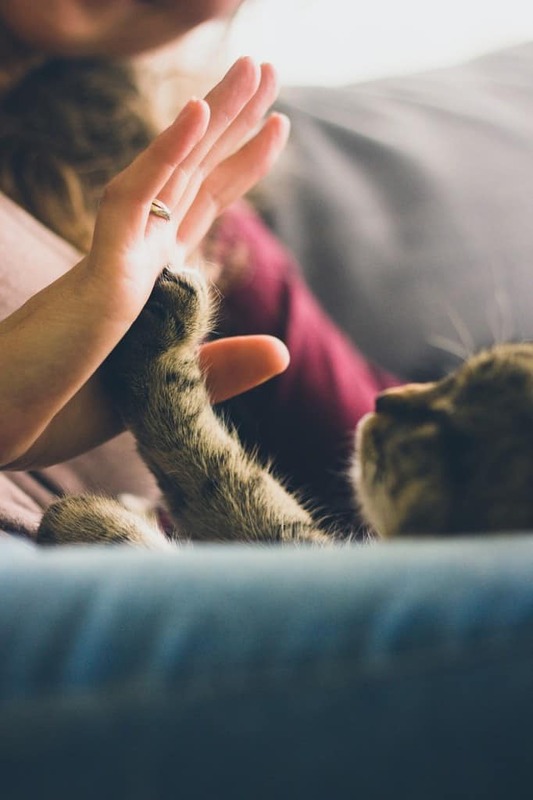 If your cat kind of sits, rolls over, gives you a high five, or likes to jump, choose one of these behaviors to focus on strengthening. Soon enough the behavior will be turned into an entertaining trick! Parties will be so much more fun. Cats are independent creatures. Like kings of their palace, they decide what they want to do and when they want to do it. Starting small and working your way to the top with lots of patience will be very beneficial to you and your kitty in the end. If your cat loses interest, it will be difficult to continue training until s/he decides when they want to try it again. Cats are unpredictable and that’s why we love them, right? So if you decide to train your cat to do tricks, keep in mind that one day’s outcome could be totally different to the next! Having patience and determination will contribute a great deal to the overall success of teaching your cat tricks. Once you do succeed though, you’ll have a new challenge of taking the perfectly timed photo of your cat performing his new tricks!! Cute cat vs dog trick contest! Watch this cute video of Nana the Border Collie and Kaiser the Bengal go head to head in a trick competition! Who is your favorite? They’re both so fun to watch! For a further detailed step-by-step how-to for training your cat and teaching your cat to do some simple tricks, visit this simple and fun guide by the talented artists and authors at WikiHow. 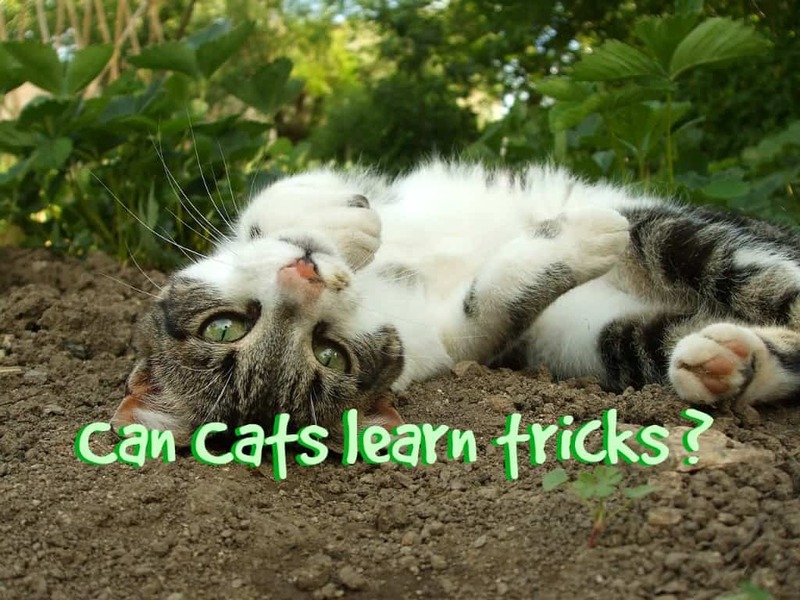 To put it simply: yes, cats can learn tricks! 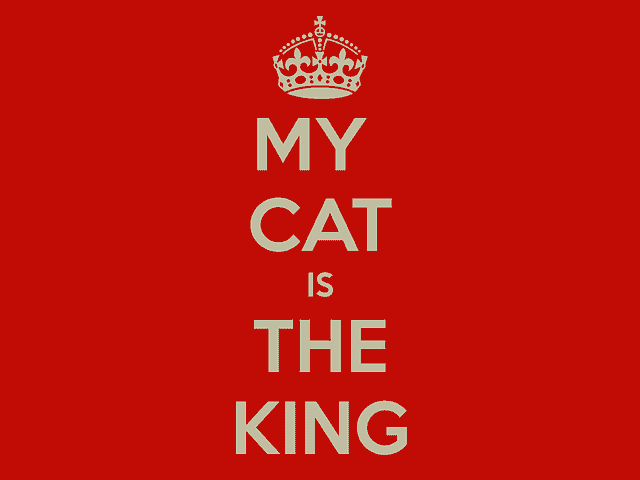 But now you know that it takes lots of time and patience in order to successfully well-train a cat. Don’t forget to share this new-found knowledge with your friends and family – break the stereotype of cats not being trainable! Break out a few tasty treats and start training your kitty. But if you do, you have to share your success story with us!! 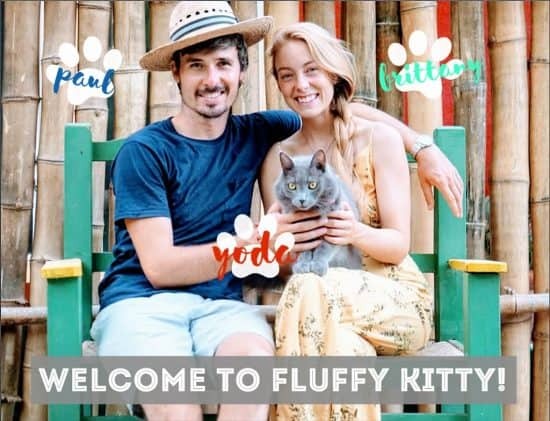 Thanks for reading Fluffy Kitty, stay updated for new posts! Before you go, let’s connect on Facebook and Twitter!